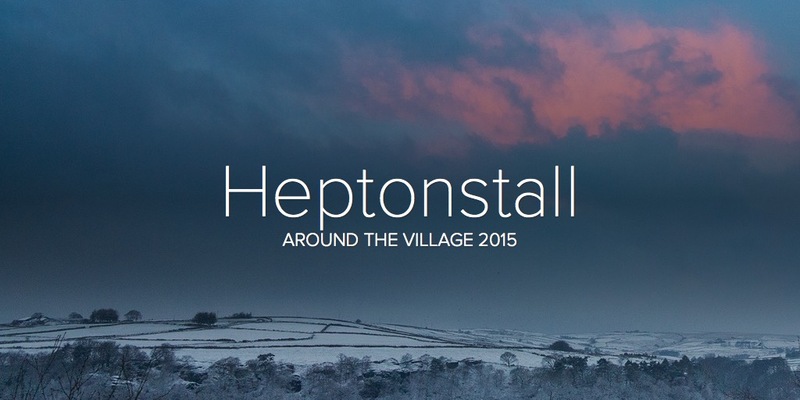 Heptonstall Parish Website – Information for the local community and for visitors to the area. This website has been developed by the Communications Group of Heptonstall Forward, and contains news and information about the Parish of Heptonstall, high above Hebden Bridge in West Yorkshire. Whether you live locally or are planning a visit, we hope you will find it useful. Clicking on the menu tabs at the top of the page will take you to the main information page for each section, along with links to subsidiary pages and related articles. Alternatively, for something a little less obvious, try the search box. Use this if you are unsure where to find something or to get there quickly. The listings set out in the right hand side bar are links to a wide range of more specific news stories, articles and other sources of information about Heptonstall. We are very keen to receive new content for possible inclusion on the site. Please use the “Leave a Reply” link which you will find at the bottom of the page to send us your thoughts. These will be shown on the website. Alternatively, to contact us more discreetly by email, please go to our Contact Us page. Thank you for looking at our web site – please come back again soon. This would have been St Thomas’ church I think. The Methodist chapel is oldet. The C oc E church was built to replace a mediaeval church which is now ruined. HI Amy , many thanks for your reply. My Grand Father , William Foster Greenwood , was born at Heptonstall Slack 12 May 1895. Changed his name June 10 th 1925 to William Foster Foster-Greenwood. Any Chance of sending me a Photo of the corner stone laid by our relative 15th May 1850 at the above church. A previous reply said it was St Thomas Church ?? We are ex South Africans , now living in Sydney Australia.